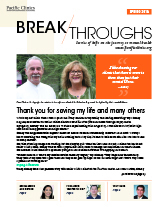 Our life-changing services empower clients. 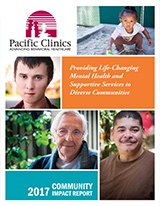 Pacific Clinics provides life-changing clinical services through a philosophy that emphasizes client engagement – for them, with them, by them – that is designed to empower clients to take an active role in their mental health treatment. Working with their treatment support team, they are guided in setting goals to achieve healthier and more fulfilling lives. 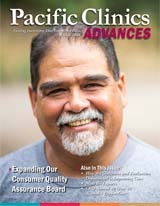 “I am immensely proud to be leading a talented group of professional, para-professional, peer advocates and administrative staff at Pacific Clinics who are dedicated to providing innovative, multi-cultural and multi-lingual programs and services to our region’s diverse communities. We build on our organization’s successes over the past 90+ years, and continually adapt our programs and services to meet the emerging needs and challenges impacting our clients. Providing medically-necessary treatments as well as offering a full array of supportive services, we focus on whole-person care to improve lives. 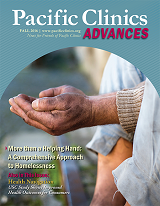 Pacific Clinics remains uniquely positioned to address mental health, substance abuse as well as prevention and early intervention services through our comprehensive array of programs and our strategic partnerships.” – Jim Balla, President & CEO. 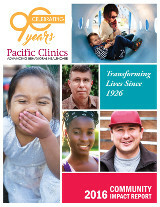 Pacific Clinics has proudly served the community since 1926. 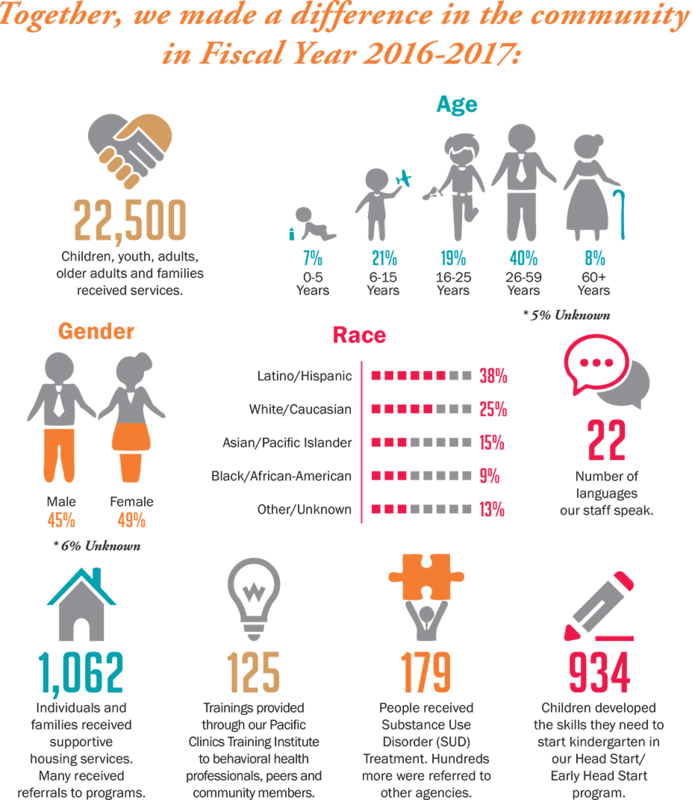 Each year, we reflect on the accomplishments of our dedicated staff, the stories of clients who have achieved wellness and recovery, and the support of generous donors, funders, and partners. 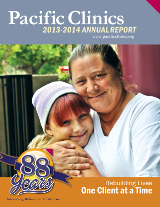 View our annual community impact reports below. If you're inspired by our clients and the staff who help them get better and stay better, please consider supporting our work by making a donation. 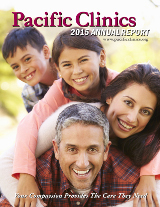 Pacific Clinics constantly innovates to meet the emerging needs of the many communities we serve by creating and improving programs that are culturally and linguistically tailored. 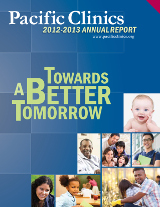 It's part of our commitment to providing high quality, integrated care. 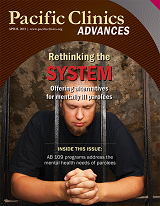 Advances magazine highlights the programs and experts that help our clients lead healthier, more fulfilling lives. 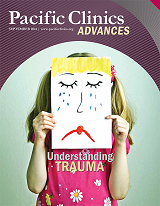 Stories of hope on the journey to mental health. 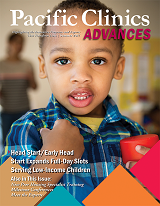 Pacific Clinics’ donor newsletter keeps our funders up-to-date on how their donations make an impact through client stories, program updates and new findings.